Welcome to 15 Leewood Circle! 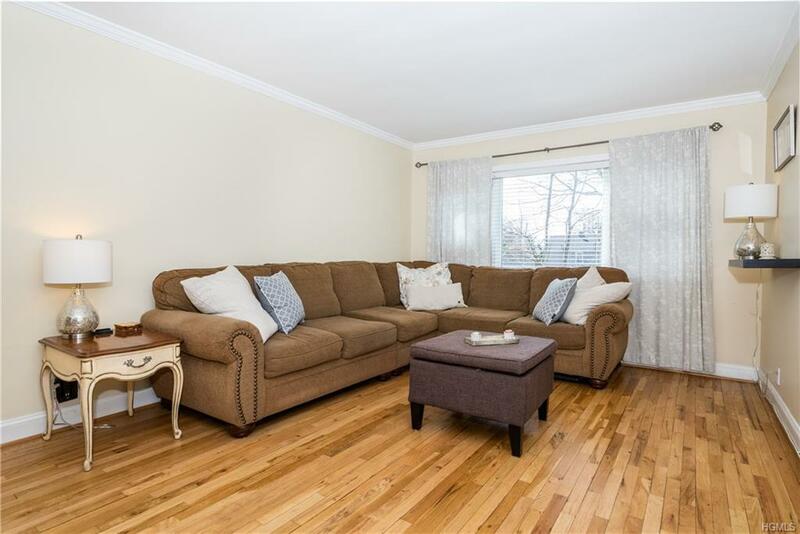 Spacious two bedroom with 1,000 square feet features hardwood floors, and natural light throughout. The entry foyer is flanked by an oversize living room on your right and dining area on your left. The dining area is open to the large kitchen offering great gathering space as you cook. The bedrooms are tucked away towards the back of the unit for added peace and quiet. Two generous bedrooms offer plenty of space for adult furniture. The bathroom was updated in 2017 with lifetime guarantee on bathtub. Assigned parking spot comes with this unit and additional parking can be purchased. Just one flight above ground level. Conveniently located walking distance to shopping, restaurants, and walking distance to the Crestwood Metro North train station. Pet friendly! With a 26 minute ride to Grand Central Station, this complex is a commuter's dream. Eligible for Lake Isle Country Club resident membership with access to pool, golf, and tennis. Listing courtesy of Iliana Fleischman of Julia B Fee Sothebys Int. Rlty.